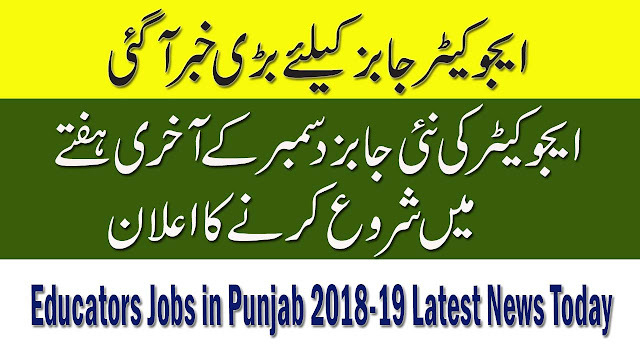 Upcoming 74000 NTS Punjab Educators Jobs 2018 Will be Soon Announced. Finally, The Wait is over, Today, on 3 december 2018. 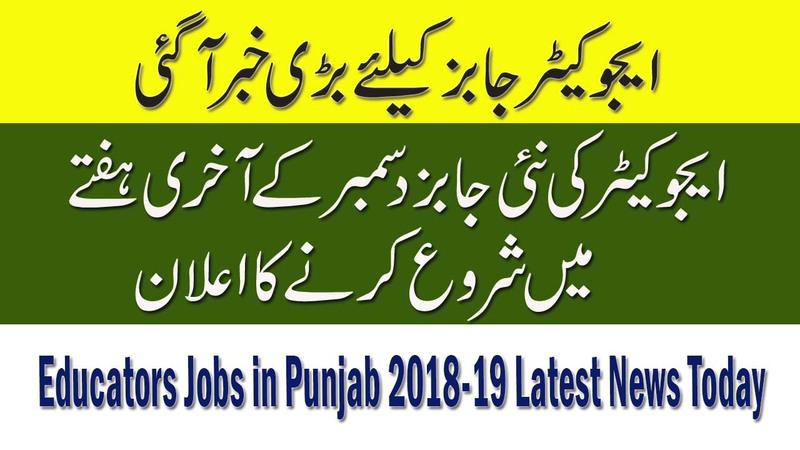 Govt of Punjab has announced further 74,000 Educators jobs. 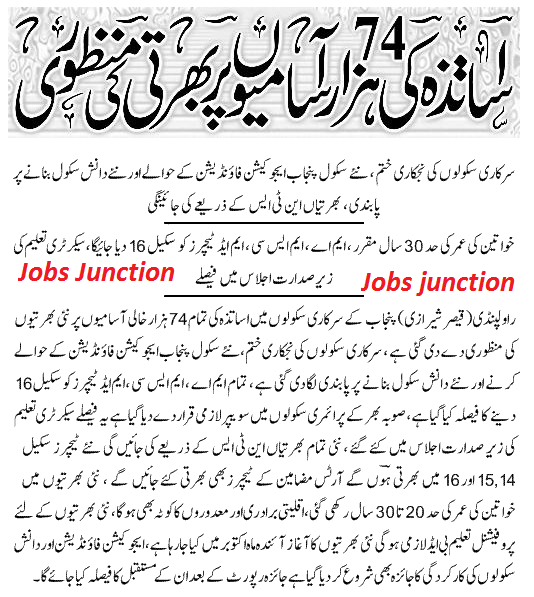 Last Year, Punjab Education Department announced 16000 Jobs but Now they come up with big numbers. According to the today newspapers. 74,000 educators will be recruited and Punjab Govt has given approval for recruitment of educators. In this recruitment program, Totally Teachers (Educators) will be recruited for Schools subjects. According to Sources: 74000 NTS Educators Jobs will be announced in October / November and These all jobs are for the Elementary wing ( 14,15 &16) BPS Scale. NTS will publish the advertisement for this upcoming jobs after September. Engineering & Agriculture applicants will be eligible a s well. 20 to 30 Year + 8 Year = 38 Year age limit for female. 20 to 30 year + 5 year = 35 Year age limit for female. For all posts, BA,BSc ,Masters/BS (Honors) (16 years Education) in a relevant subject is required as per the demand of vacant posts. Can 3rd Division Candidates Apply For Educators?